CarMax, one of the nation’s largest network of dealerships, offers an extended warranty plan, known as the MaxCare Service Plans, which gives you that extra peace of mind after your manufacturer warranty expires. 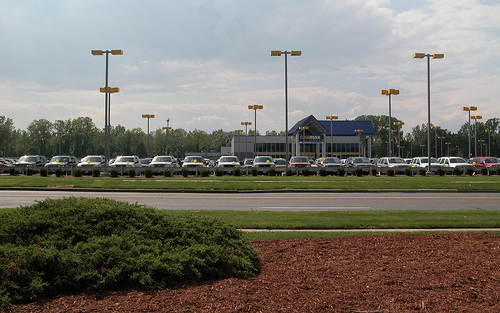 The warranty benefits all customers as it is available for all cars CarMax sells. The costs of a CarMax extended warranty will depend on the number of miles on it, the deductible, which car you purchase and how long you wanted the warranty to last for mileage wise. It appeared all warranties would last six years, but it was up to you as to how many miles you wanted to be covered, with the warranty cover the total miles on the car, not from the date of purchase. The standard six-year, 125,000-mile warranty appeared to range anywhere from $1,000 to $3,800+ based on the factors mentioned above. This Jalopnik article, for example, talked about the coolest unreliable cars you could get with a CarMax warranty, with prices ranging anywhere from $3,799 for a six-year/125,000 mile warranty for a 2013 Audi RS5 to as much as $4,199 for the same length warranty for a 2005 Porsche 911 Turbo Cabriolet. Granted, these were quotes for cars that were priced much higher than the average purchase at your local CarMax but can at least offer some insight as to the maximum amounts you may pay. A member on this Slickdeals.net forum thread stated he was quoted an additional $1,300 for a car he paid $21,000 for. Jacob Irwin over at MyPersonalFinanceJourney.com discussed his experience at CarMax with his girlfriend, noting he was quoted $1,000 but ended up denying the coverage at the end, which he said was heavily pushed throughout the sales process. One member on this Reddit.com thread claimed he paid $3,899 for his 2006 Range Rover, with CarMax paying more than $9,104 in claims over the past three and a half years. What does the CarMax extended warranty cover? According to the official website of the company, the extended warranty will offer comprehensive mechanical protection, including the engine, transmission, drivetrain, electronics, electrical system, steering, suspension, cooling system and climate control, with the exception of some exclusions as noted on the website, including maintenance parts, such as wiper blades and batteries, aftermarket accessories, a breakdown caused by abuse/misuse, tire replacement due to a flat tire via roadside assistance, and fuel costs if you were to need emergency roadside assistance. Other limitations and restrictions do apply, and for a full list, talk with your CarMax representative for more information. The warranty covers you no matter where you are in the United States or Canada, and for an authorized repair center, you can contact the toll-free assistance line. If your vehicle is deemed too unsafe to drive and needs to be kept overnight for repairs, then the company will reimburse you for your rental car, up to $40 per day for up to seven days. Emergency roadside assistance, also as part of the warranty, will offer assistance 24 hours a day, seven days a week, and all services are covered up to $100 per occurrence. CarMax, from what we read from buyers, will have deductibles for the plan that range from $50 to $500. Like any policy in general, the higher this deductible is, the more you can potentially save. At the time of purchase, CarMax does not, per its FAQ, that all used cars will come with a 30-day limited warranty, with some states offering a longer duration.